It was nice to know that not too much has changed in Taupo since we left six months ago. On a recent trip back to the great lake we decided to meet some friends at a new addition to the town’s dining scene – BBQ Master. Now, I didn’t think a BBQ in autumn was really a smart move, and unfortunately, I was right. 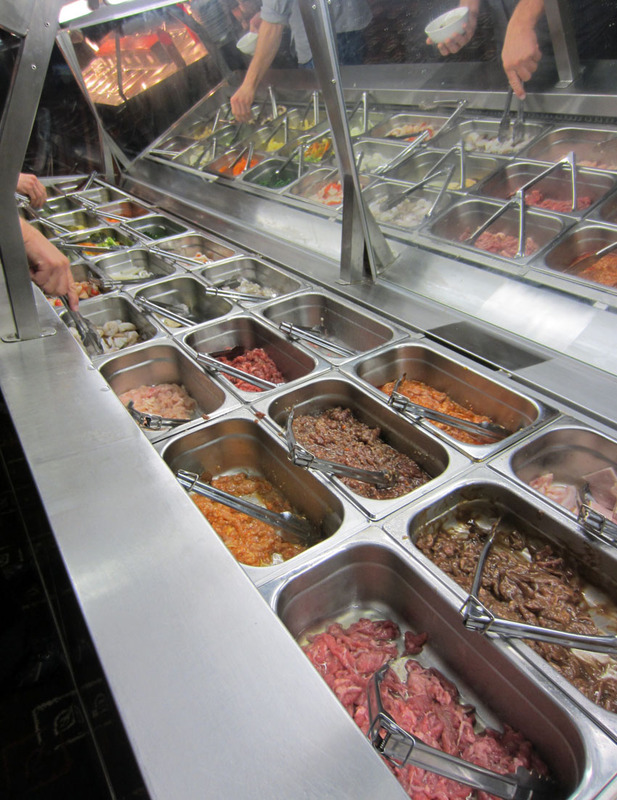 The concept: you fill a bowl with your choice of veges and meat, throw a few sauces into the mix, take it to the chef at the hotplate, and he cooks it for you, then repeat as necessary. 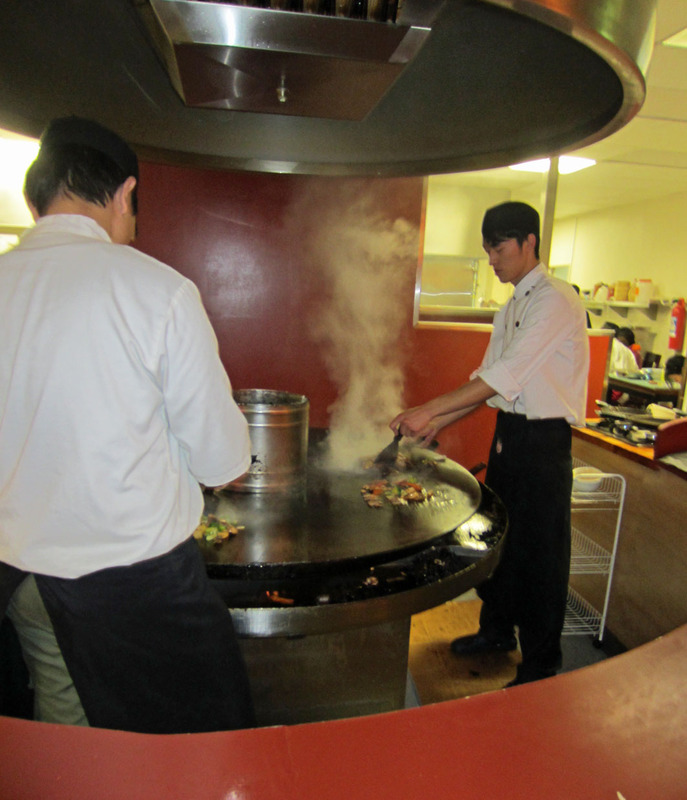 An all you can eat Asian BBQ. The first combination you make is really trial and error, and with that experience under your belt, the second attempt can only get better (although one attempt was enough for me). The other thought on the second trip to the BBQ hotplate, was to try everything that didn’t fit into your bowl on the first time around. 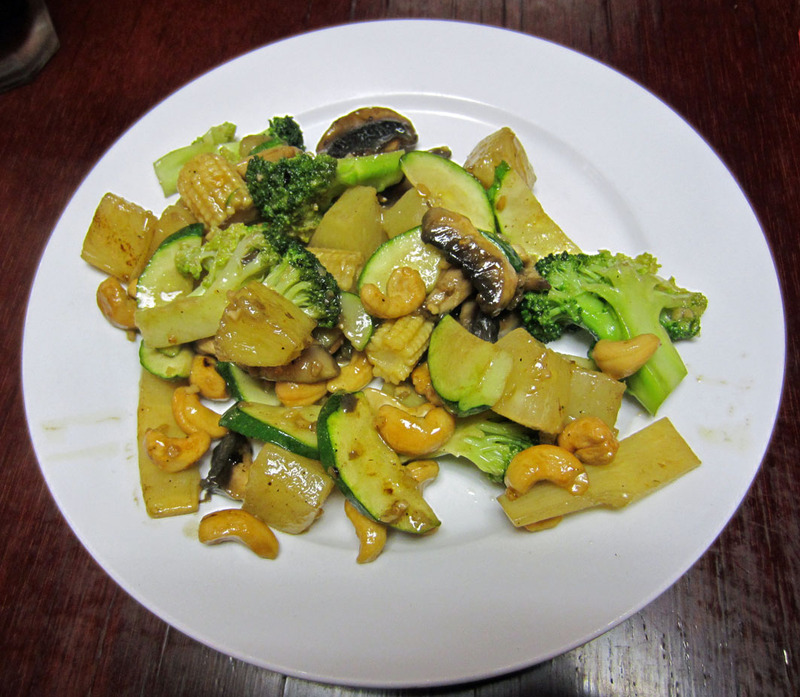 My BBQ creation was lovely – courgette, mushrooms, broccoli, pineapple and cashews with satay sauce. The husband enjoyed a meaty dish of chicken, pork and bacon with chilli oil and satay sauce. Even ‘Miss Doesn’t Do Spicy’ enjoyed her creation of beef, tomatoes, peppers and cashews, and as she put it, “your food is really only as good as your choices, so if you didn’t like your combination, it’s really your fault.” She’s so right, and there are so many choices and combinations to be made. Along with the ‘make-your-own-bbq’ dish there is also soup, seafood, other Asian dishes (spring rolls, fried rice, a tough and icky looking egg foo yung and noodles) along with other random things like chips and macaroni cheese. Although the concept of this restaurant is sound, it was the finishing touches that let this restaurant down. Firstly we were greeted at the door by a scummy looking fish tank, complete with fish, but only about a tenth of the water the tank should hold – doesn’t bode well as far as first impressions go. Throw in an annoying vegetarian (me) that is trying to explain to non-English speaking chefs that I want my food cooked on a clean hotplate that doesn’t have any meat residue from the previous guest (not sure how well that discussion went, although there was lots of smiling). Then add pretty average service – our plates not being cleared away very quickly, ‘clean’ plates with little bits of ‘something’ still attached to them, and Justin Bieber’s ‘Baby’ screaming from the sound system, and this probably isn’t a place I’d return to again in a hurry. Did I mention that the office door was open for public viewing of an absolute mess? Plus the whole family (about 4 generations), were just hanging out at a kitchen table in the open kitchen area, in full view of customers, brushing children’s hair, playing, etc – not really what I’d call a professional eating establishment. My other gripe was that you don’t actually end up sitting down together with your diner group to eat, as someone is always absent; filling their plate, or waiting in line for their dish to be cooked. It definitely didn’t work for a ‘catch up dinner with friends’. If you are a big eater, and love your seafood, then you’d probably get your $27 worth of all you can eat, but I was left feeling a little bit ripped off. I can understand that it would be a good choice, however, if you needed a work function venue to feed loads of burley men. For me the highlight of the evening was the fresh pancakes, straight from the pan onto your plate. I added soft serve ice-cream and chocolate sauce to my dessert – yum. I wonder if I’d eaten several helpings of pancakes, if I would have gotten my money’s worth? And speaking of money’s worth. Don’t forget to take your Taupo Card, as you get a free fizzy or handle of beer with your main. In a nutshell: Pretty average. Lacks atmosphere. Think Valentines, but with the ability to choose your own dish.